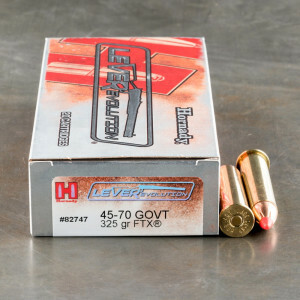 The 45-70 round is well into its second century of existence with a history dating back to its introduction by the U.S. Army's Springfield Armory in 1873 as the Springfield Model 1873. 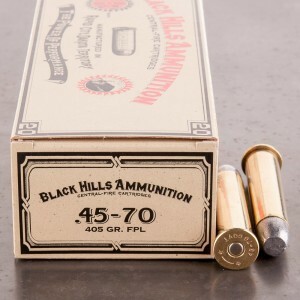 Its full technical name is the .45-70-405: the ".45" is the bullet diameter (11.6 mm), the "70" is the weight in grains of the black powder, and the "405" is the weight of the lead bullet (another offering included a .45-70-500 as well). 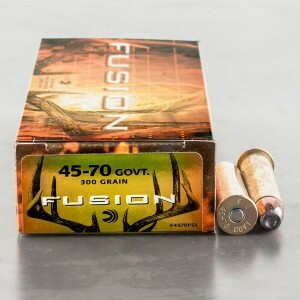 During the last decades of the 19th century, the .45-70 held great sway as one of America's important big game rounds. 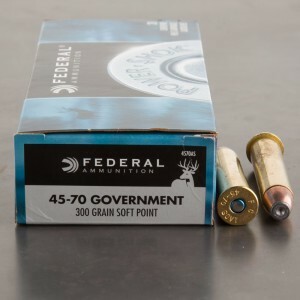 The popularity of the .45-70 Govt. declined as the 20th century dawned so you won't find as much commercially produced ammo for sale as you once would have. Winchester stopped production of .45-70 chambered rifles in 1935. Interest was revived in 1972 when Marlin begin production of its "new" Model 1895 lever action gun chambered in .45-70 caliber; the round has seen a modest increase in use, especially in the U.S., Australia, and New Zealand. The large diameter bullet punches a big hole in whatever it hits; however, slower velocities and longer distances may not always produce the necessary hydrostatic shock for clean, quick kills. 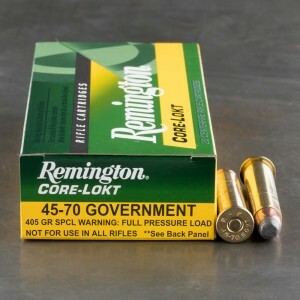 Although some advocate the .45-70 Govt. ammo for use on dangerous game, its successful use may critically (read "life and death" important) depend on the skill of the shooter's cool-headedness in dangerous situation! I personally use this as a hog round. 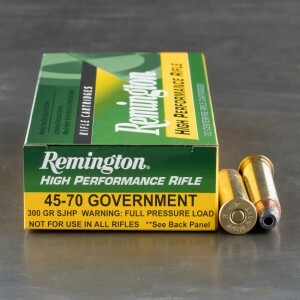 It is painful to shoot at the range for extended periods of time, but it'll knock down anything in North America! Marginally comfortable to shoot out of a new Marlin lever action; first time out, gave me a 4moa group at 100yd. 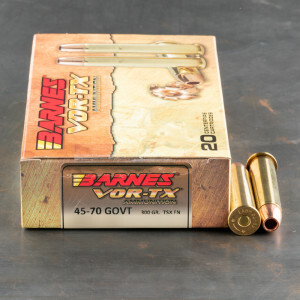 Haven't tried it again in the Marlin yet, and haven't tried it in the Sharps LR Express; but with the 405gr at 1880fps, the Sharps was quite comfortable, so this should be as well. 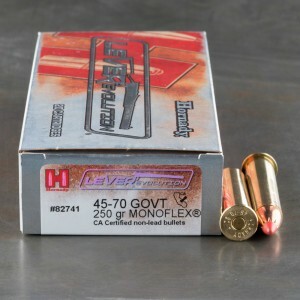 Its softer shooting than the Hornady ammo I normally buy. Accurate, cycles well through my Henry, reliable, and zero fte/ftf. 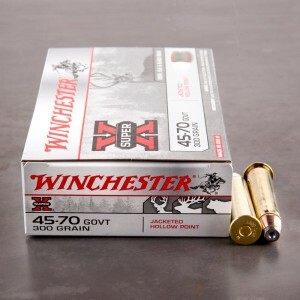 This ammo will drop a grizzley bear, and as always ammo to go has fast delivery and great customer satisfaction, thanks ammo to go.